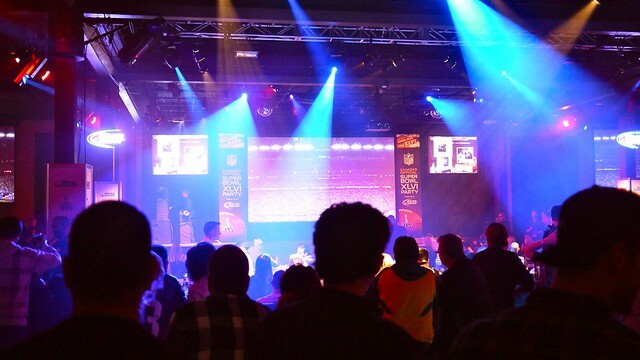 Canada's Official Super Bowl XLVI Party at the Commodore Ballroom on February 5, 2012. 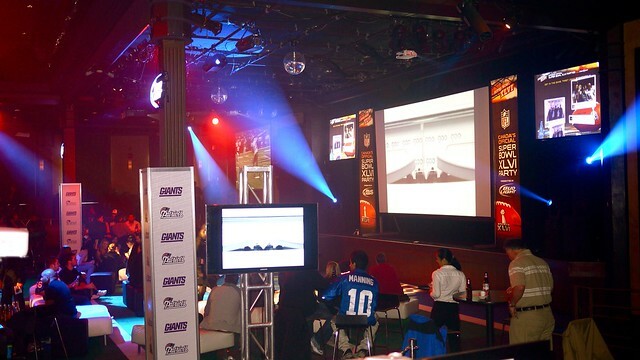 The Commodore Ballroom transformed into NFL American football central for the big game. Seattle Seahawks cheerleaders dubbed the "Sea Gals" hitting the stage for intermission cheering. 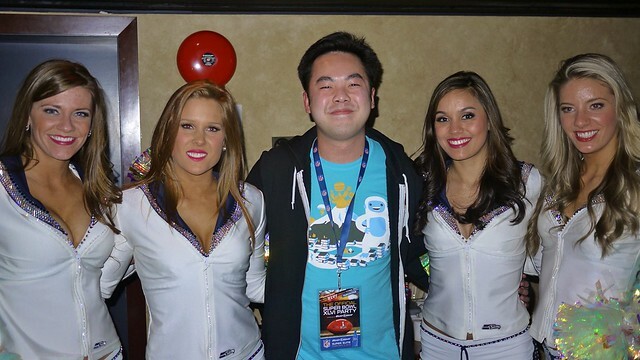 My plus one, Dennis Pang posing with the lovely cheer squad in the Bud Light Super Suite. The floor buzzing as the New York Giants defeat the New England Patriots in a thrilling, down to the wire match up. 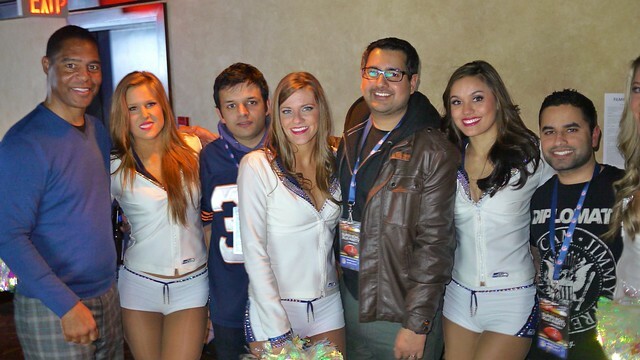 NFL analyst and Pro Football Hall of Famer Marcus Allen (older brother of Damon) with the gals, Vancity Buzz editor Karm Sumal, and company. 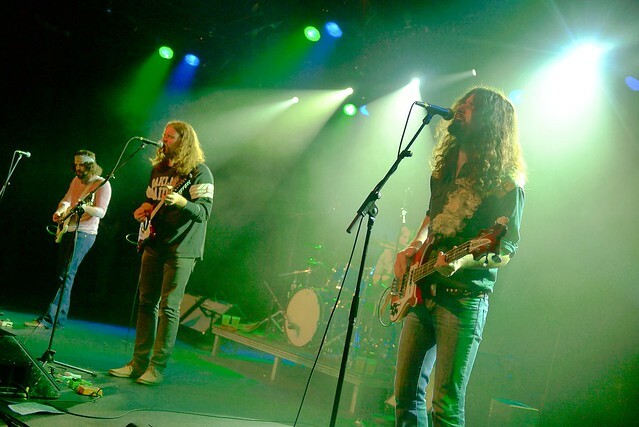 Fresh off their Rolling Stone cover, Saskatchewan rockers The Sheepdogs hitting the stage to close the Super Bowl Sunday celebration.